3D GRAY BLACK METAL BACKSPLASH TILE FOR SIMPLE COLOR SCHEMES. Need a modern kitchen backsplash that will match any home décor scheme? Consider the effortless monochromatic color palette of this 3D gray-black metal backsplash tile for stunning simplicity. Tiny rectangles of deepest black and shining silver mingle together to create an effortless motion and attractive appeal. 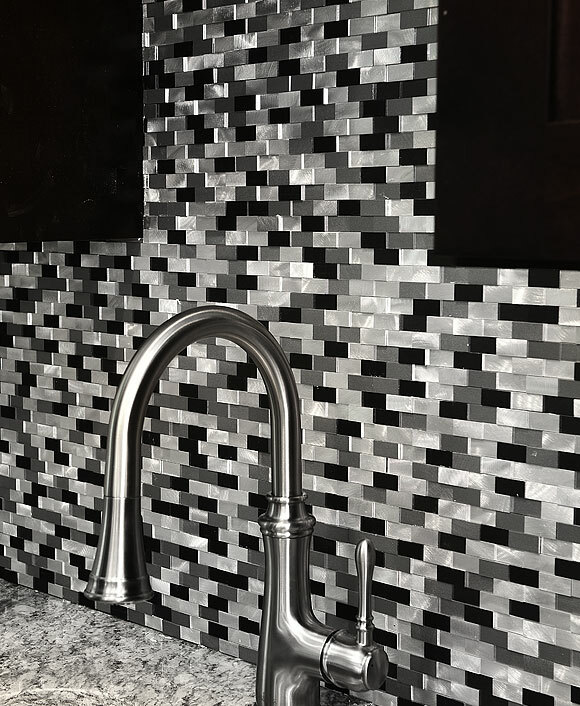 Ideal for sparse and modern design schemes, this 3D gray-black metal backsplash tile will create an appealing focal point in your home project.